Elderflower syrup and fresh mint leaves make these cupcakes unique. 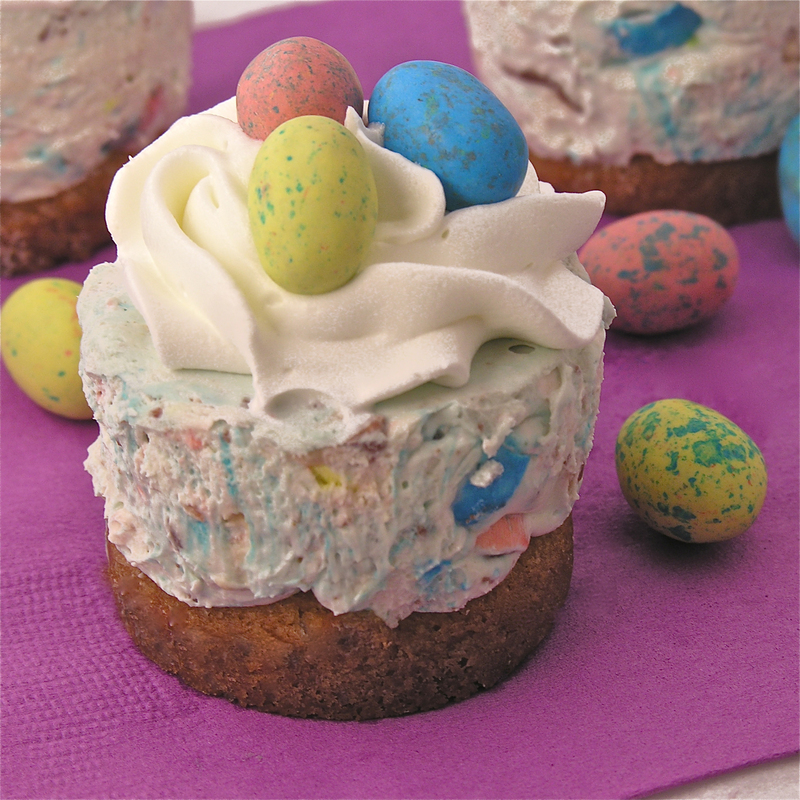 The lemonade frosting on top makes them unforgettably delicious! Just a few weeks ago I made Elderflower Lemonade that was amazing. Seriously- you need to try it! After making many batches of it for friends and family, it occurred to me that these flavors would make such good cupcakes! 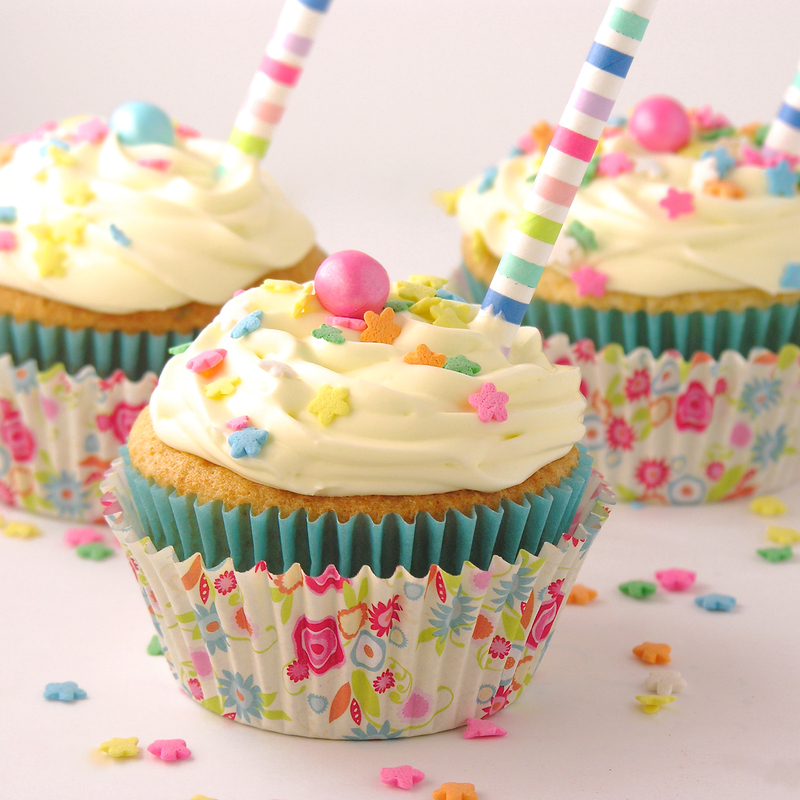 I experimented a bit with the cupcakes, and topped them with my famous lemonade frosting and YUM! I really liked them. A lot! Plus they are so fun and springtime-y! The only special ingredient you’ll need is Elderflower syrup . I got mine on Amazon and you won’t want to skip this ingredient because it is the secret deliciousness behind this recipe. Plus, once you have it you can make the lemonade- and you will not regret it!! 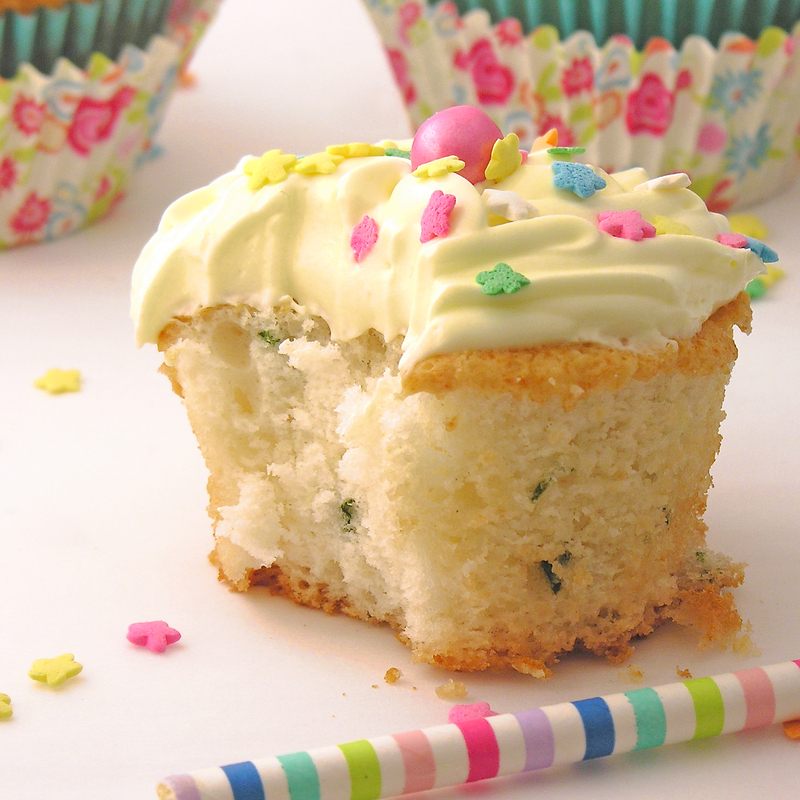 Bake according to package, until a toothpick inserted into the center of a cupcake comes out clean. Place frosting in a large zip-top bag, fitted with a decorating tip, and keep in fridge until ready to frost. 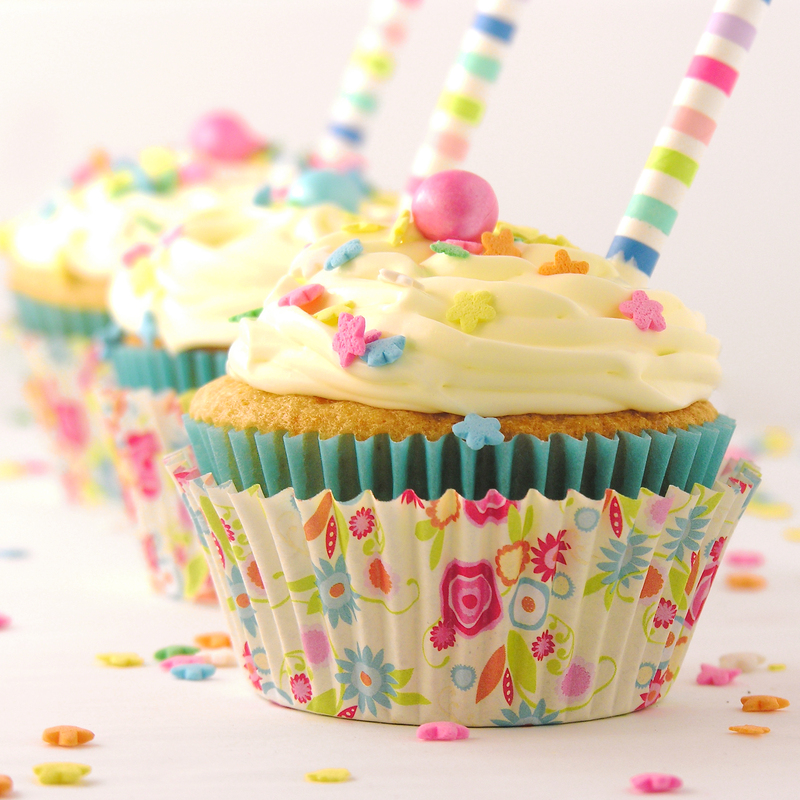 Before frosting, use a toothpick to poke holes into the top of each cupcake (6-8). 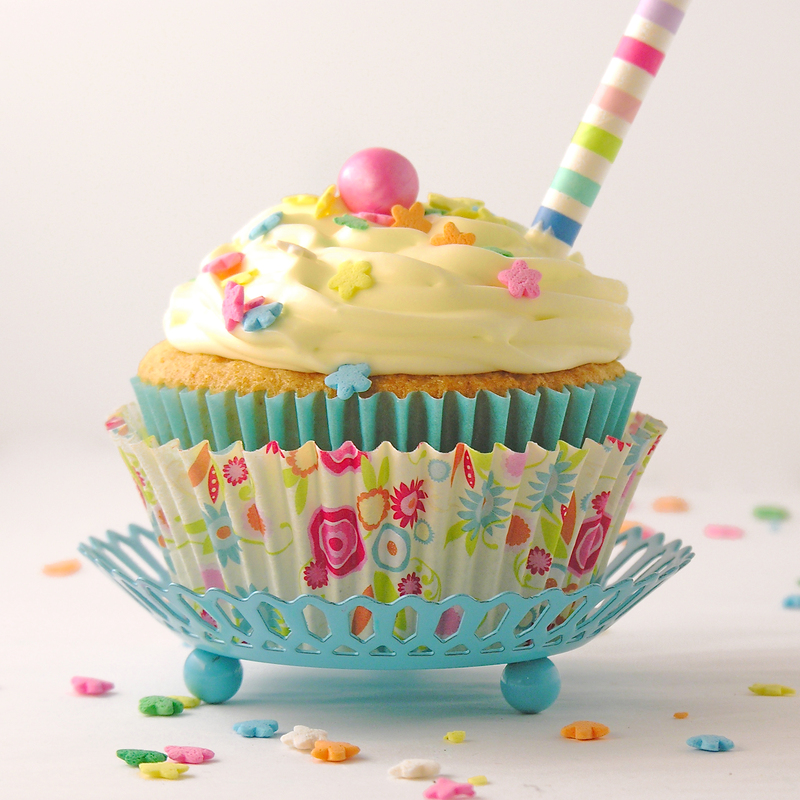 Use a pastry brush to generously brush the top of each cupcake with elderflower syrup, allowing it to soak into the holes. Pipe lemonade frosting on the top of each cupcake and decorate as desired. 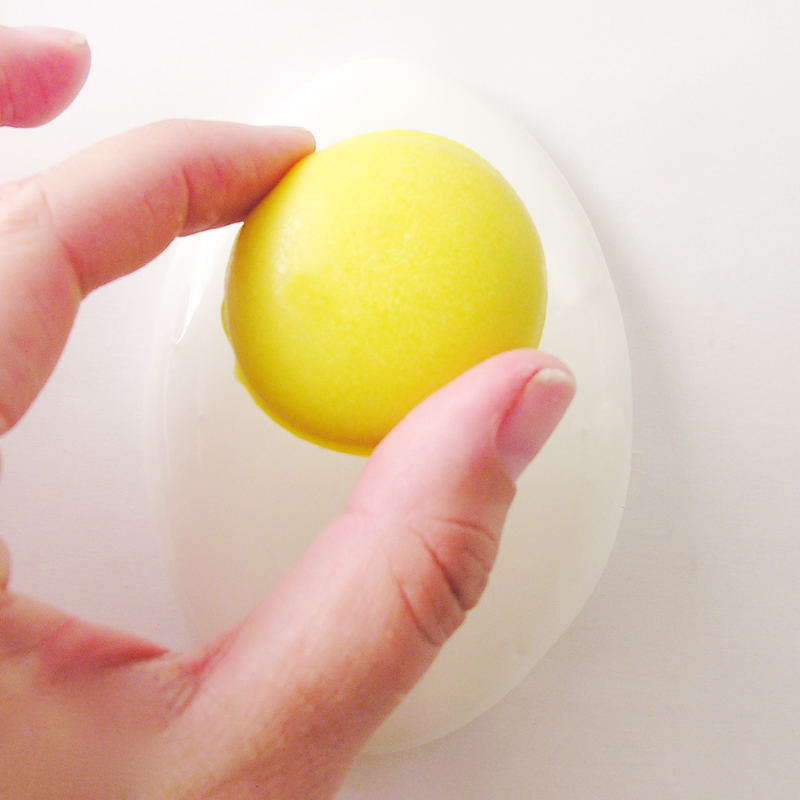 Keep in a loosely sealed container, refrigerated, for 2-3 days. I remade it (making the frosting a bit thicker) in 2012, and used it on cupcakes in 2013. 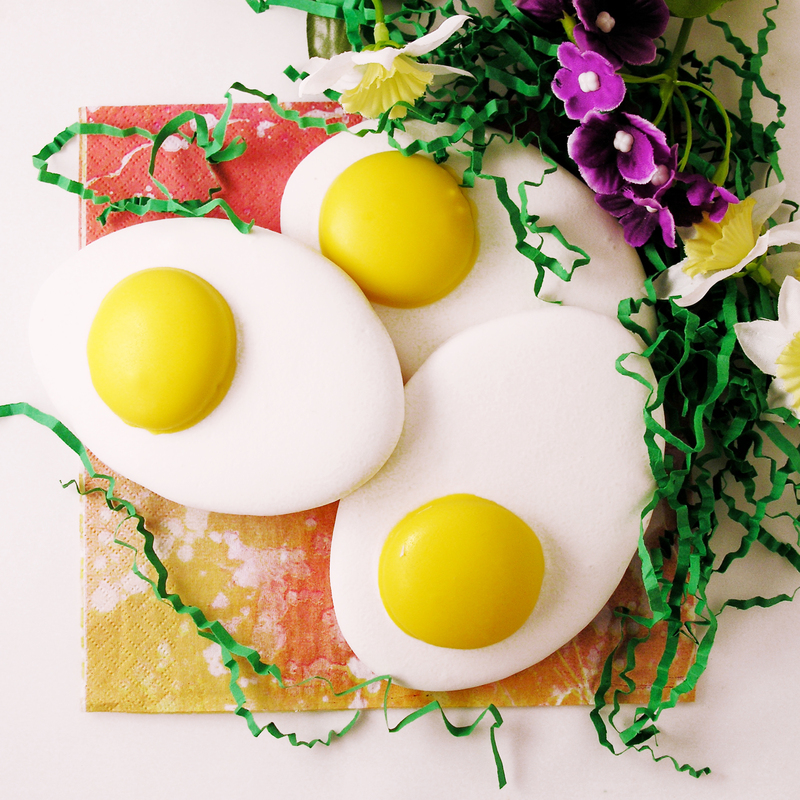 Spring recipes are SO FUN! 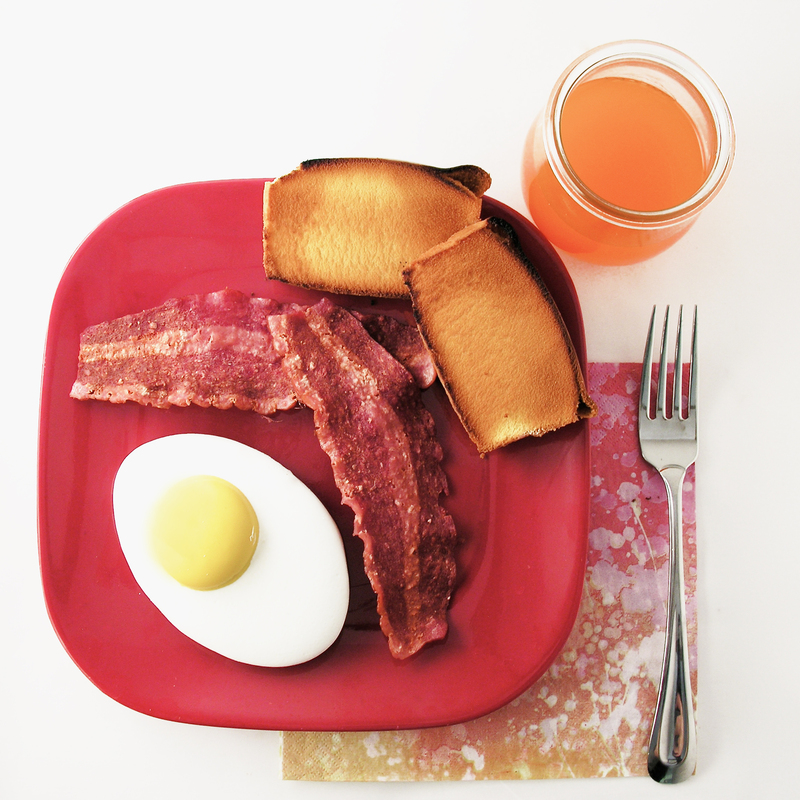 Here’s a few more to try (click on photo to see recipe). Posted in Cupcakes and tagged cupcake, cupcakes, easter, easter cupcakes, easter dessert, elderflower lemonade, elderflower recipe, elderflower syrup, frosting with Kool-aid, frosting with marshmallow, Kool-aid cupcakes, Kool-Aid dessert, lemon mint cupcakes, lemonade cupcakes, lemonade frosting, lemonade recipe, mint leaves, mothers day, mothers day cupcake, mothers day recipe, spring dessert. Bookmark the permalink. 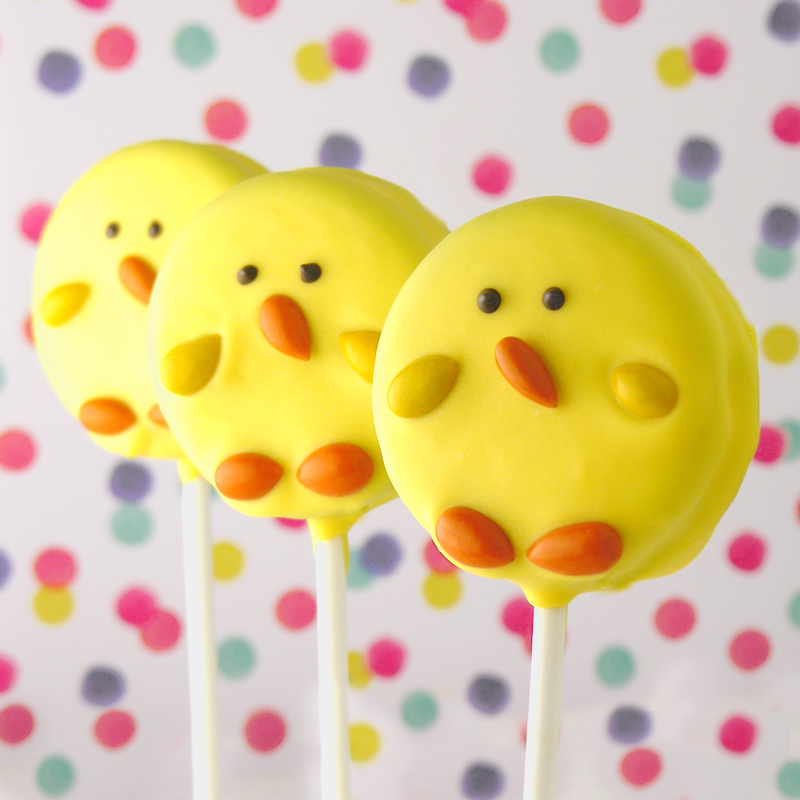 These adorable baby chicks are made with Oreos- a perfect treat for Easter baskets! Have you seen the chocolate covered sunflower seeds yet??? Oh my goodness. I saw them for the 1st time at Trader Joe’s, and I’ve been on the hunt for new colors ever since! My latest find was at JoAnn fabrics- right at the checkout! I’ve been experimenting with them on a variety of Oreo pops (coming soon!) and these were a part of those experiments! Have parchment paper spread on your countertop and have your sunflower seeds ready. Dip an Oreo into the yellow melts, spooning melts over top and sides. Tap on edge of bowl to get rid of excess and slide bottom of Oreo along edge of bowl to remove drips. Place on parchment paper and while melts are still soft, gently place seeds in place (use photos as a guide). I used a clean tweezers to place these and adjust them. 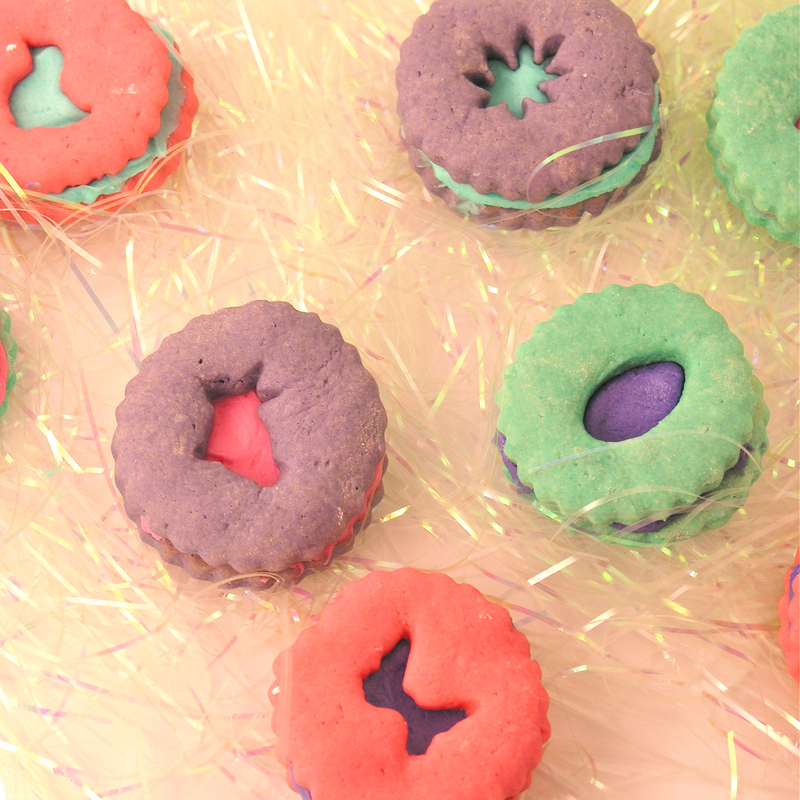 You can add a few flower sprinkles too, if you want! Allow these to harden. Melt chocolate candy melts in the microwave in 30 second increments, stirring between until melted and smooth. 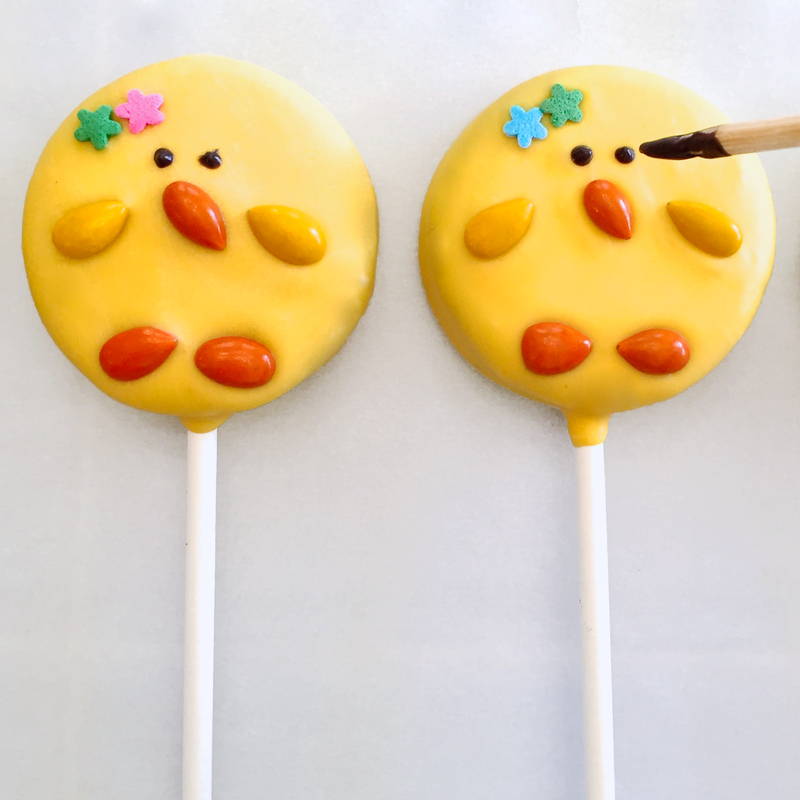 Use a toothpick, wooden skewer, or food-grade paintbrush to add little eyes. Allow these to harden completely. 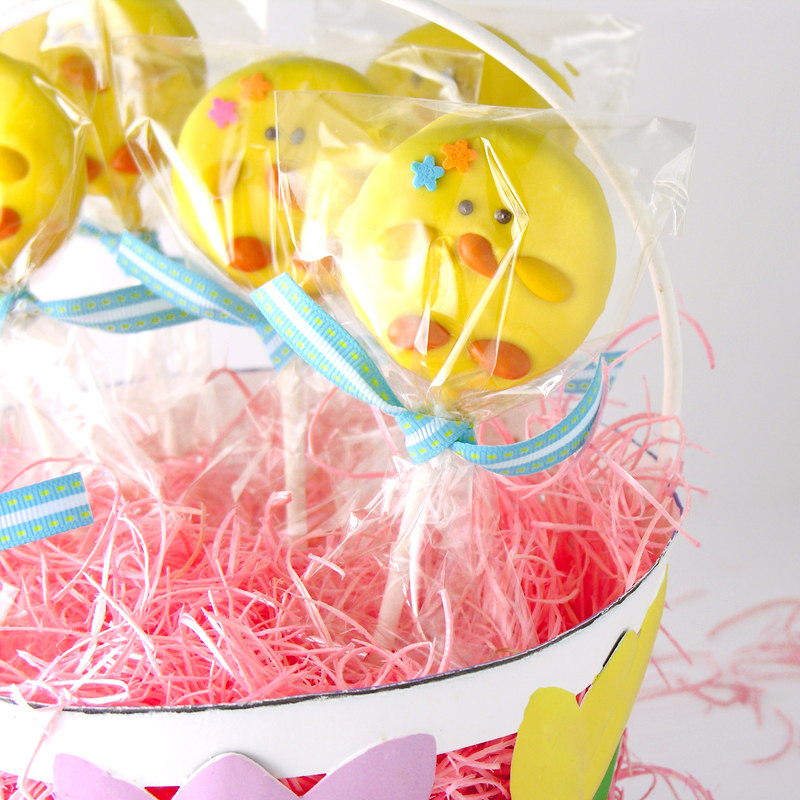 Wrap these up in little cello bags tied with Easter ribbon for a fun treat! These will keep (sealed up) for several weeks. Posted in Cookies, Kids recipes and tagged baby chick cookies, baby chick oreo pops, chick oreo pops, chicken oreo pops, chocolate, chocolate covered sunflower seeds, cookie pops, cookie pops for easter, cookies, cute easter dessert, easter chicks, easter dessert, easter recipe for kids, Holiday Oreo Pops, oreo pops, oreo pops for easter, oreo pops for kids, Oreos, sunflower seeds. Bookmark the permalink. 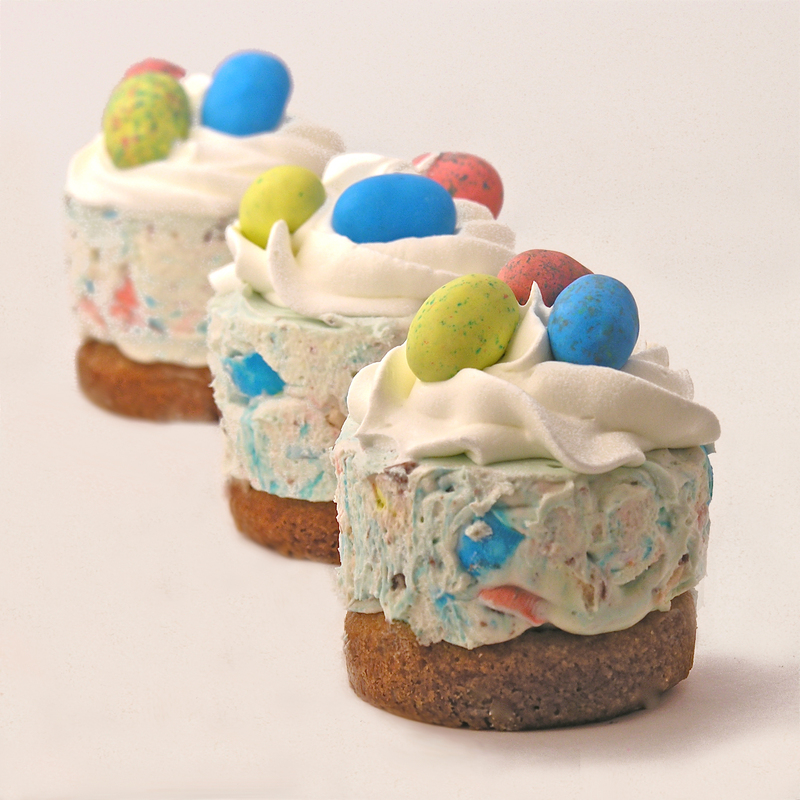 These colorful mini-cheesecakes are made with malted milk ball eggs and have a sugar cookie crust…yum! I love seasonal candy. I love Cadbury eggs at Easter and Tim Tams at Christmas and conversation hearts at Valentines Day….but the Whopper brand malted milk ball eggs are the best. Did any of you use the outside shell as colorful “lipstick” as a kid? So fun! Crunch them up in a whipped cheesecake and put them in a fun Mini Cheesecake Pan for a dessert that will make everyone smile! 2 bags (10 oz. each) of Whopper’s Robin Eggs (I used mini’s, but I’m sure the full size would work fine too.) You could use regular Whopper candies to get the same flavors when the seasonal Robin’s Eggs are not available. Roll each cookie dough square into a ball and put it into a greased cup in the mini cheesecake pan. 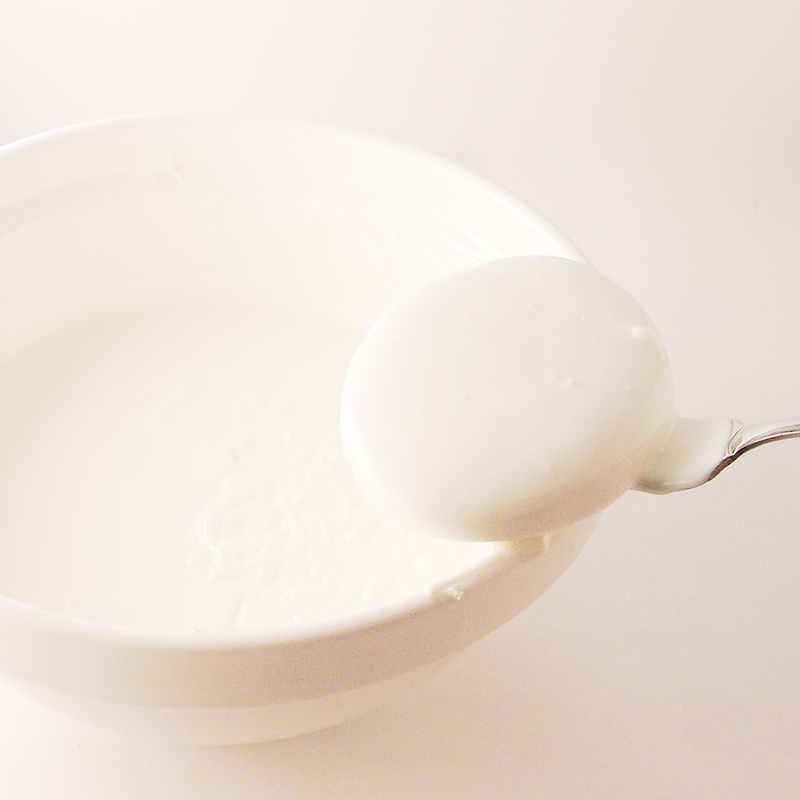 In a mixing bowl, cream together softened cream cheese and sugar. 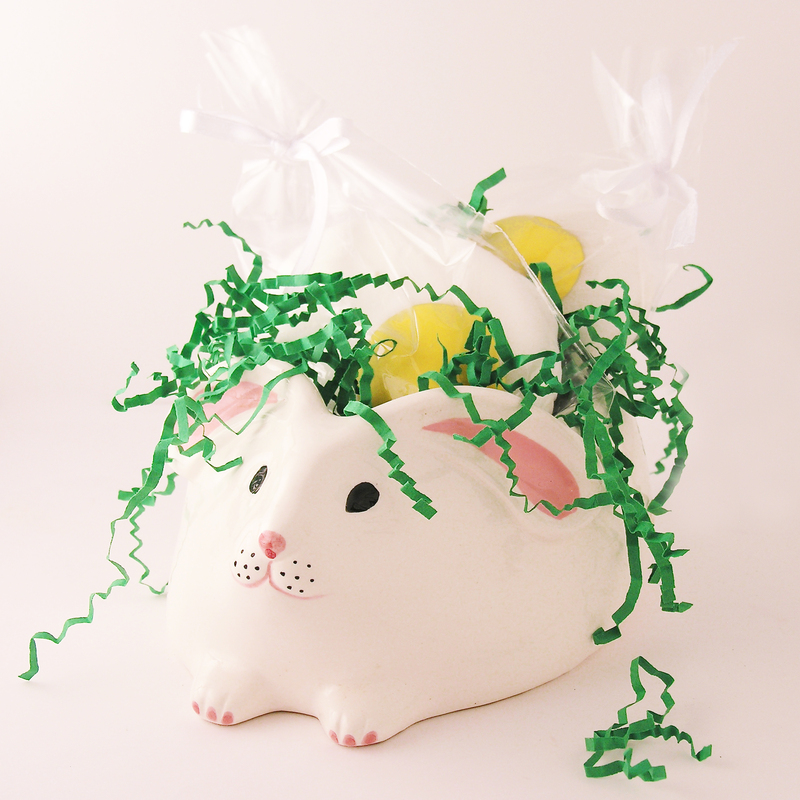 Smash one full bag of Malted Milk Chocolate Eggs. I put them in a ziplock , placed them on a cutting board and hit them with a hammer until they were in pieces about the size of mini chocolate chips. Fold about 2/3 of Cool Whip and the one bag of smashed eggs into the cream cheese mixture. Spoon cheesecake mixture into a large zip-top bag. Clip a large piece of one corner off and pipe filling evenly over each cooled cookie crust. 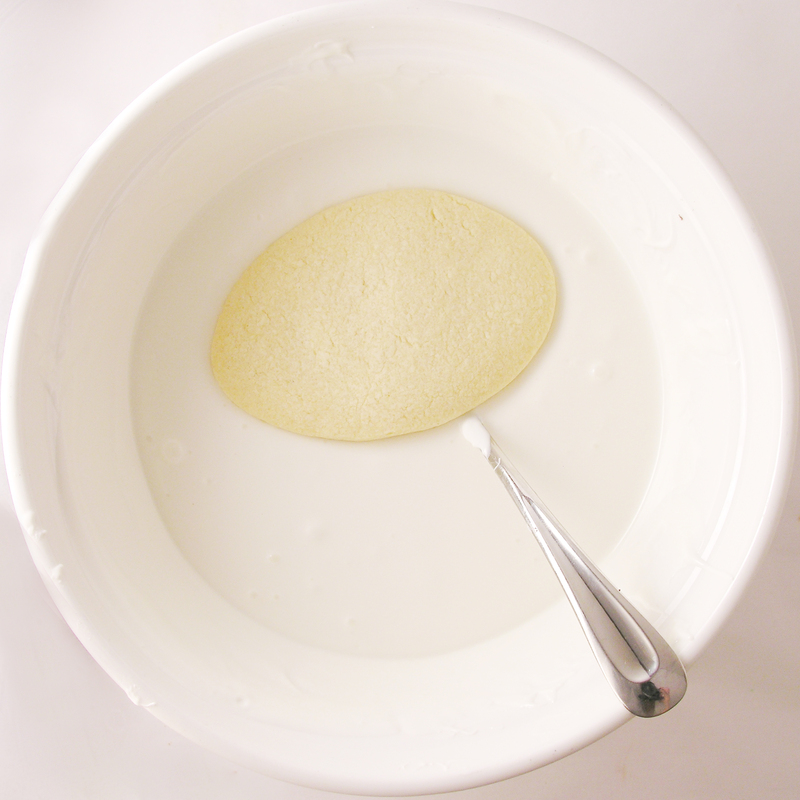 Use a knife or spatula to smooth tops of cheesecakes flat across top of pan. Posted in Cheesecakes and tagged cadbury eggs, cheesecake, cool whip, Cream Cheese, cream cheese mixture, dessert, easter cheesecake, easter dessert, food, fun cheesecake, mini cheesecake, mini cheesecake pan, mini chocolate chips, philadelphia cream cheese, sugar cookie crust, sugar cookie dough, unique dessert recipe, whopper candy, whopper dessert, whopper eggs, whopper robin egg candy. Bookmark the permalink. 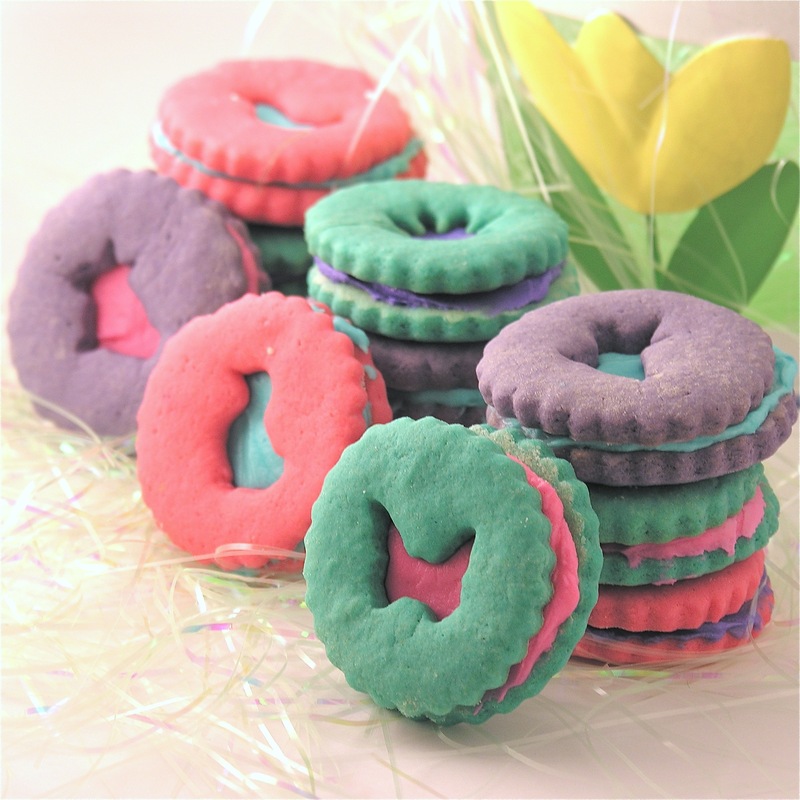 These brightly colored Easter cookies have a hint of lemon and a creamy sweet filling. This cut-out recipe is REALLY easy to roll out and I used Linzer cookie cutters to make them into fun sandwich cookies. 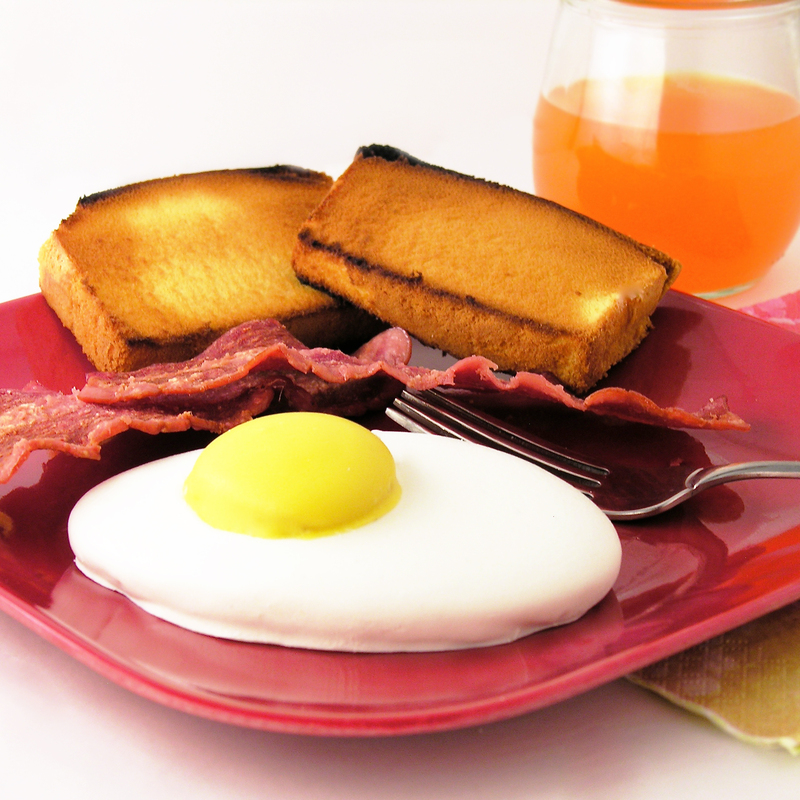 Add egg, vanilla and whipping cream and mix. Add lemon juice and mix until completely combined. To color the dough: I divided the dough into 3 smaller bowls and colored it using Wilton Icing Colors . 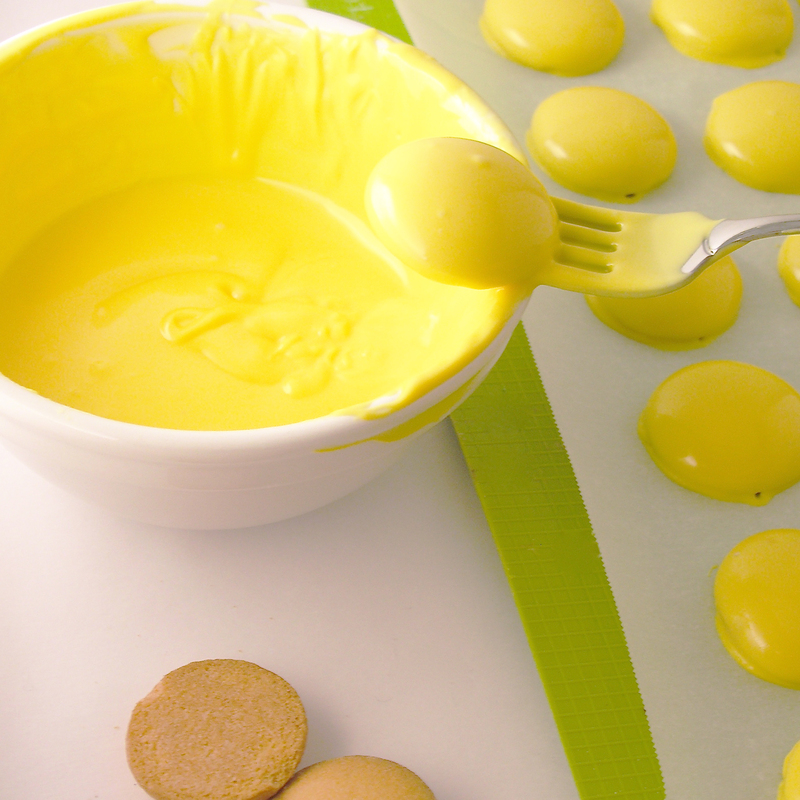 I love this food coloring…it says its for icing but I use it in everything– it makes things SO bright and doesn’t change the consistency of what you add it to. Use a little additional flour to make your dough a good rolling consistency. Using a flour-coated rolling pin, roll the dough out on a flour-coated surface. Cut your cookies using any cookie cutters you like. I used Springtime Shapes Linzer Cookie Cutters and I just LOVE the way they turned out. Just cut solid cookies for the backs and for the tops use the tiny shapes to cut bunnies and chicks and flowers from the center of each cookie. It IS a little fussy, but worth it in the end! However you choose to cut them, place the cookies on parchment paper- covered cookies sheets and bake at 350 degrees for 10-12 minutes (check for a slightly browned edge). Cream together the powdered sugar and Crisco. Add the milk and blend until a smooth spreadable consistency. 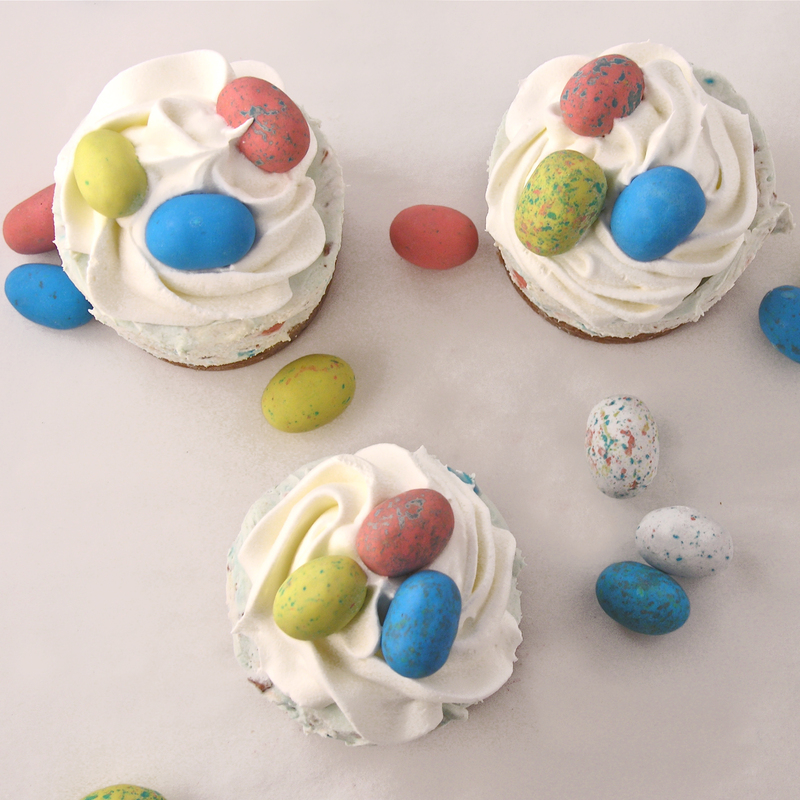 Divide frosting and color in as many colors as you want. My thoughts: I love these Linzer cookie cutters. 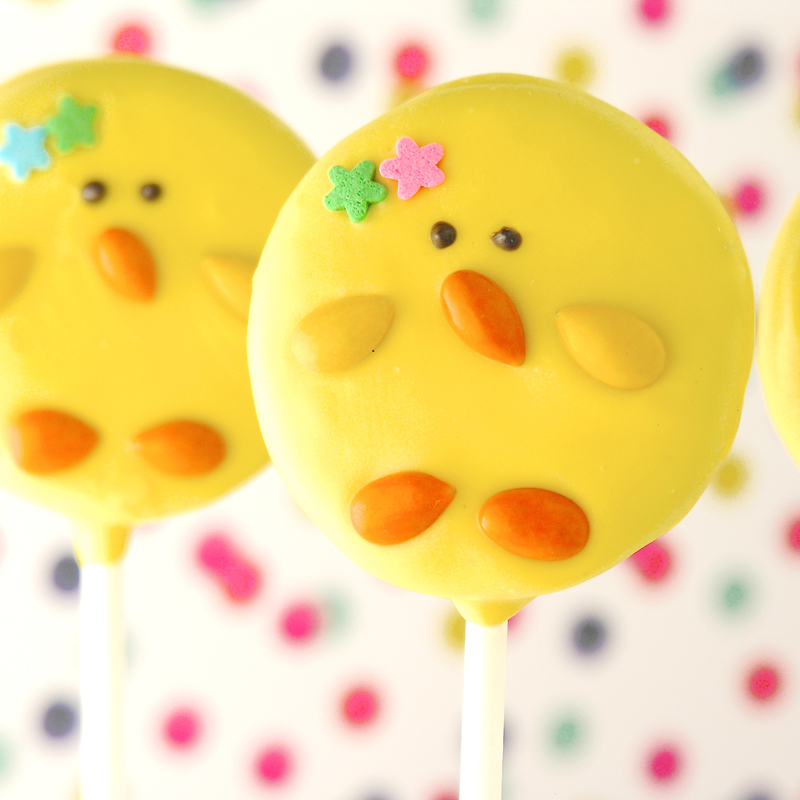 I got them last fall when I made cookies for both Halloween and Christmas and I’ve been waiting for spring to arrive so I could try this set out– they are just so much fun. 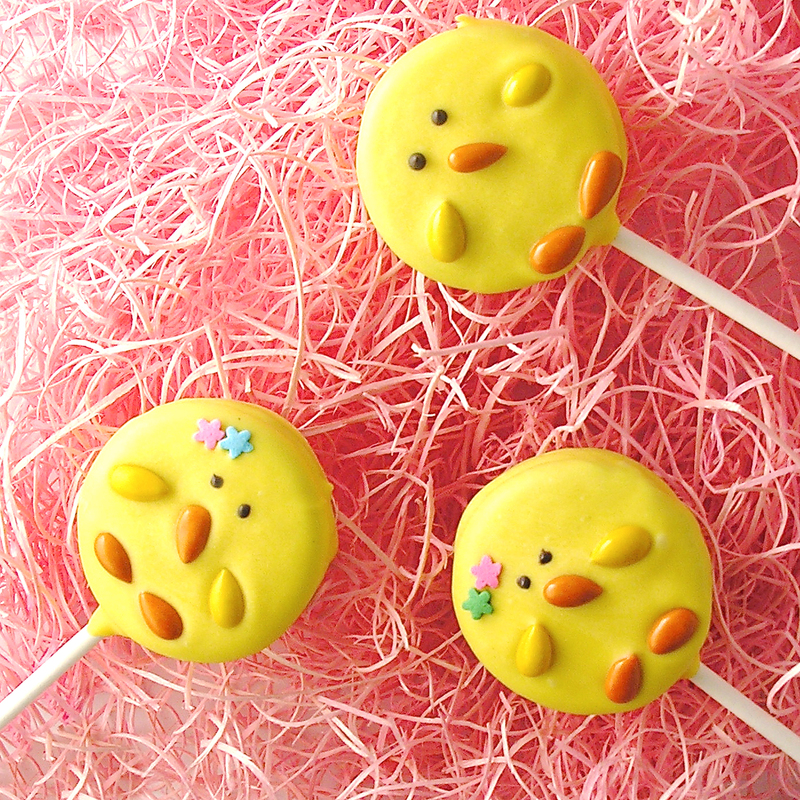 Posted in Cookies and tagged baking, cookies, cut-out cookies, dessert, easter, easter dessert, kids recipe, lemon cookies, Linzer cookies, sandwich cookies, spring dessert, sugar cookies. Bookmark the permalink.